As we descended the short trail into Gobin Valley, my brother told his wife that between them and me, they had almost one adult per child. (They have four kids.) He rescinded his statement a few minutes later as my feet hit the valley floor. I took off in a run, neck and neck with my nephews, running up, through, and over the rocks. 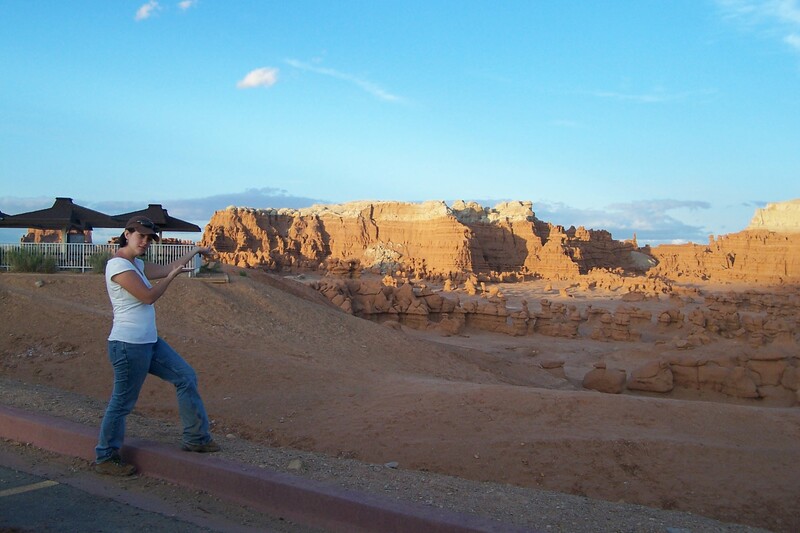 Goblin Valley State Park is mother nature’s most awesome playground. As a kid, it ranked higher than Disneyland for me. Three valleys filled with odd-shaped rocks and sand, and you’re allowed to crawl all over it. You will never find a more fitting place for Kick the Can or Hide and Seek. The temperatures reach the triple digits in the summer, which makes the spring and fall optimal times to visit. The park has a nice campground with showers, but make a reservation because it fills up quick. There are several dirt roads around with pullouts for camping without services. In the mountains surrounding the area are several slot canyons and hiking trails. The turn off is on the way to the Bullfrog Marina of Lake Powell. Why Do We Compete in Races We Can’t Win?